Welcome to Sage Centre. We recognize this can be a difficult time for you and those close to you. We will do everything we can to offer you both support and helpful resources. We offer the only professional services for grieving children in Southern Alberta. Our counsellors specialize in helping families with children and teens adjust to the changes in their lives when someone close to them is living with a life-threatening illness or has died. 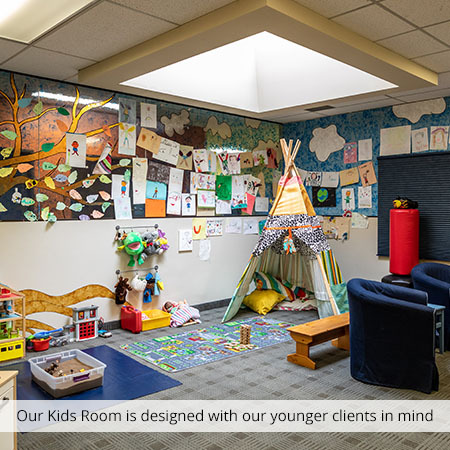 As the leading agency in Child & Family Grief we are the primary referral site for the following: schools, Alberta Health Services, health and mental health care professionals, victims assistance services, and past & current clients. We ensure our services are accessible to all by attempting to remove logistical challenges during an already challenging time. Our counsellors work with patients and families at our Sage Centre location, and when appropriate, can also offer support at hospices, hospitals, schools, home, or at other locations. Parents and caregivers will be invited to meet their family's counsellor during an intake session. 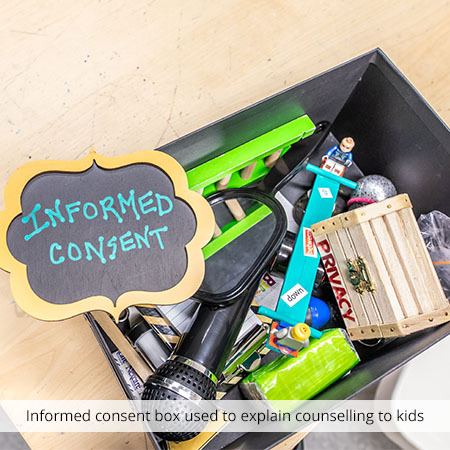 When children and teens first meet with their counsellor, the focuses will be getting to know each other and exploring the space. Counselling sessions may include art and play therapies, writing or other activities that help explore and express grief. There may be some increase in intensity of feelings as we discuss and work through grief. The intention and benefit of counselling is to enhance our well-being. We all grieve in our own unique way and have different needs as we experience the death of someone close to us. Individual counselling is focused on the individual's immediate or near future concerns, such as grief after someone close to them has died. It’s a one-on-one discussion between the counsellor and the client. The two form an alliance, a relationship or bond that enables trust and personal growth. 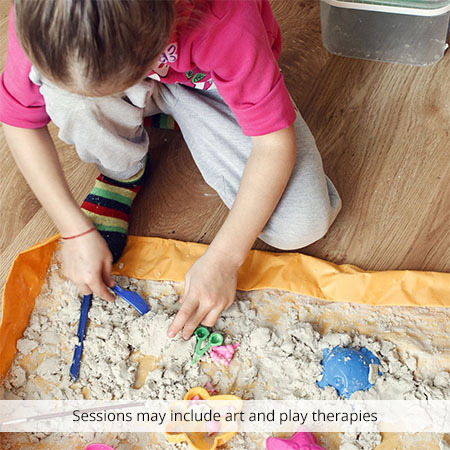 Sessions may include art and play therapies, writing or other activities that help explore and express grief. Family counselling brings together the members of a family as a group. It focuses on family dynamics and explores issues that affect a family (e.g. disease, death or conflict). By engaging the immediate family unit in grief counselling, those grieving can find great long-term support around them as they establish their resiliency. We often hear from children and teens that they are a little nervous about their first counselling session. We would like to share some information with you so you know what to expect. We hope that this will answer some of your questions. Keep what you tell them private unless you give them permission to share and they can’t talk with your friends, their lips are sealed! 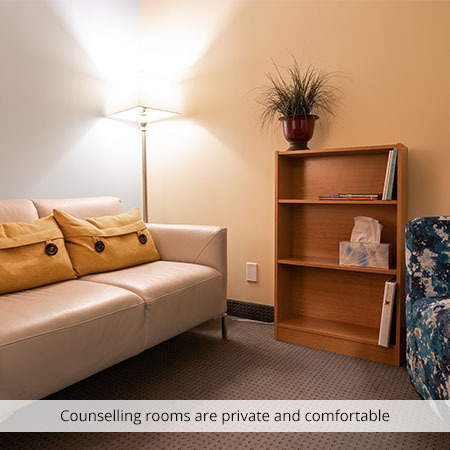 All the counsellors are part of a team at Hospice Calgary. Sometimes they share stories of children and teens they work with to get more ideas on the best ways to help support them and their families. If you don’t want your counsellor to use your name if they are telling your story, together you can pick a pretend name.